At WWT, we create and conserve wetlands and save species. We bring awe-inspiring nature up close and let it do the talking. We help people to feel part of something amazing and motivate them to make a difference. 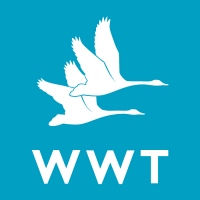 In this role you will be visiting your local WWT centre on a weekly basis to capture wildlife spectacles, species, visitors’ experiences and our volunteers for inclusion in promotional material for print, online and social media. A few hours per week for wildlife and landscape photography, and/or as required for event photography. Volunteers may do one or all these kinds of photography, depending on their level of skill at each. Capturing images of the centre, its wildlife, wetland landscapes, events and people on a regular basis (depending on skill level). Receiving direction from the HQ Media Production team and centre Marketing Manager as well as taking pictures whenever you find an opportunity (a Gap list of required images will be available for you to work to). Working proactively with staff and volunteers at your local centre to capture key events and sightings that would make engaging content for website, marketing materials, social media etc. Please include links to any examples of your photography.